Scott Scovel is the General Manager in charge of the development and management of new financial services division. Some of his major responsibilities at Univision include P&L management, product development, establishing distribution, creating marketing approach, forming partnerships, managing vendors, optimizing customer experience, and driving optimal long-term profitability. Recently, Univision announced a strategic alliance with MasterCard Worldwide to introduce two new prepaid financial services, which include the Univision Prepaid MasterCard Card® and the Univision MasterCard Gift Card®. Scott was heavily involved in the launch of this new offering. 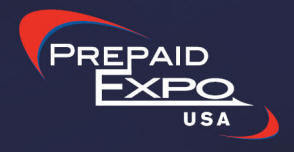 Scott Scovel will be speaking at the Prepaid Expo USA 2010 this February. Take some time to view our speaker line-up below. Hope to see you in Las Vegas this February!